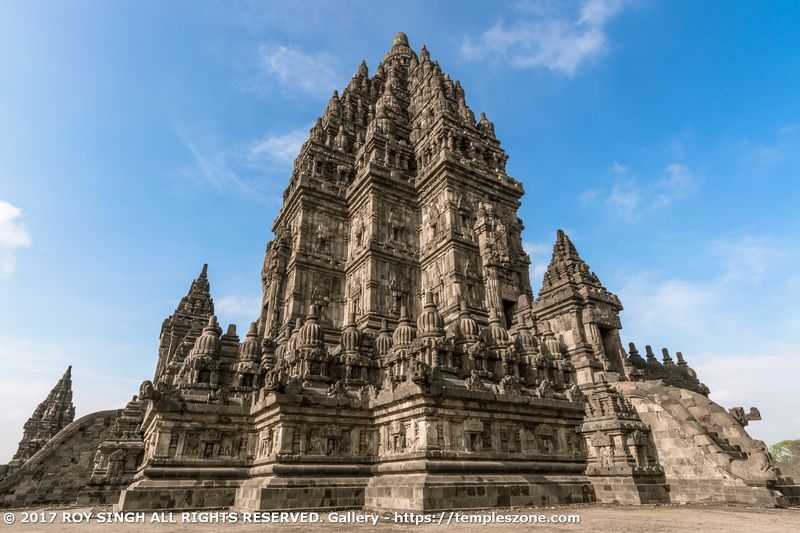 Candi Prambanan or Candi Rara Jonggrang is a 9th-century Hindu temple compound in Central Java, Indonesia, dedicated to the Trimurti, the expression of God as the Creator (Brahma), the Preserver (Vishnu) and the Destroyer (Shiva). The temple compound is located approximately 17 kilometres (11 mi) northeast of the city of Yogyakarta on the boundary between Central Java and Yogyakarta provinces. The temple compound, a UNESCO World Heritage Site, is the largest Hindu temple site in Indonesia, and one of the biggest in Southeast Asia. It is characterized by its tall and pointed architecture, typical of Hindu architecture, and by the towering 47-metre-high (154 ft) central building inside a large complex of individual temples. Prambanan attracts many visitors from around the world.